Brazilian Jiu Jitsu or BJJ, is taught at the Baltimore Martial Arts Academy in Catonsville Maryland. Baltimore Martial Arts has been teaching BJJ and Mixed Martial Arts since 1995. Brazilian Jiu-Jitsu is a wrestling based martial art specializing in takedowns and submissions which typically include joint locks and chokes. Brazilian Jiu Jitsu can be learned as sport and/or a means of self defense and has grown in popularity in the United States and abroad faster than any other martial art. Baltimore Martial Arts offers both gi (uniform) and no-gi BJJ. Each style has is benefits. Uniformed classes are the more traditional approach to learning BJJ. We recommend attending gi classes before training with no gi, however one can be learned without the other. Many mixed-martial-arts practitioners focus on no-gi training for MMA competitions since its slightly more applicable to the sport. Many of our Jiu Jitsu students — both adults and children — compete in gi and no-gi BJJ. Visit our page for Youth Brazilian Jiu-Jitsu for information about BJJ classes for younger students. Baltimore Martial Arts has been teaching Brazilian Jiu Jitsu & Judo since 1995. This was about the same time that Mixed Martial Arts was becoming a coined term and the Ultimate Fighting Championship UFC was achieving prominence. Originally our students were learning a combination of San Shou, Judo and Brazilian Jiu-Jitsu. At that time, only Ground Control Baltimore (John Rallo was a Blue Belt under Renzo Gracie) was the only other martial arts school teaching anything similar. 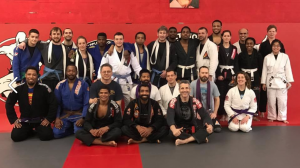 Today the Baltimore Martial Arts Academy has grown and has become a leading institution for not just Baltimore Brazilian Jiu Jitsu, but numerous other martial arts styles that include but are not limited to Judo, Muay Thai, Boxing, Wrestling, Tae Kwon Do, Karate, Arnis, Silat, Kung Fu, Tai Chi and more! Baltimore Martial Arts Brazilian Jiu-Jitsu program is an affiliate with GFT - Grappling Fight Team of Brazil. GFT is one of the most prestigious BJJ associations in the world having produced many world champions like Rodolfo Vieira, Vitor Henrique, Ricardo Evangelista, Igor Silva, Jacob Mc Kenzie, Denilson Pimenta and many others. 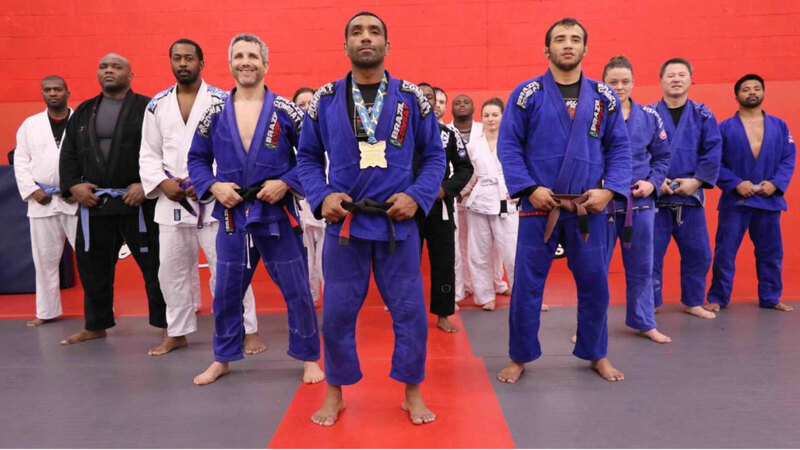 Baltimore Martial Arts academy is an international hub that accommodates BJJ athletes from around the world, especially Brazil, as these athletes come to the United States to compete. Our mission for GFT Maryland is to teach quality and authentic Brazilian Jiu Jitsu that acts as a global language to all that we encounter. We strive to keep the integrity of the complete art of Jiu Jitsu and build life champions as well as athletes on the mats. Jiu jitsu is to aid in the enhancement of overall life. If you are a lawyer, doctor, student military member, chef, domestic engineer, police officer, pilot, gardener, plumber, electrician, social worker, nurse, firefighter, life coach, secretary, CEO, or banker. GFTeam's Jiu Jitsu can help enhance your confidence and overall performance at work and in your personal life. Our Jiu Jitsu is the tool that fuels great success and better sense of community. Patrice Harris from Fox 45 comes to Baltimore Martial Arts Academy to learn Brazilian Jiu Jitsu. This video was shot circa December 2008. WATCH THOUSANDS OF BJJ VIDEOS FOR FREE!!! Jitseasy is a FREE membership site that uses advanced technology for watching and learning Brazilian Jiu-Jitsu techniques and drills based on any selectable criteria that you choose. You get access to a limitless database of BJJ instructional videos and be able to watch videos on techniques, combinations, helpful tips, strength & conditioning, world champions rolling in their gyms, counters, competitions, BJJ news, classic footage of BJJ masters, podcasts and much much more! Also check out our Jitseasy Facebook Fan Page and once your a member of Jitseasy you'll gain access to our private Jitseasy Facebook Group Page. Plus - Bonus Content for FREE!!! Learn the secrets of “Favela Jiu Jitsu” – a non-Gracie Lineage and how it has produced world class fighters like Denilson Pimenta, Rodolfo Viera, Italo Lins, Igor Silvia, Theodoro Canal, Jacob McKenzie, Alexander Trans and many others! Jitseasy is constantly filming and bringing to you exclusive content from the mats of Rio de Janeiro and our affiliate academies in the United States. Access to hundreds of exclusive GFT content is 100% absolutely FREE. That’s an awesome deal and practically a shame for us to give these secrets away for FREE.